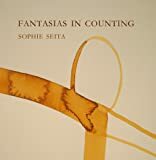 In Sophie Seita's dazzling first collection of poems, Fantasias in Counting, musical scales, lists, and instructions are transformed into theatres, dramatic monologues, and dictatorships. By creating such a provocative disconnect between form and content, Seita raises compelling questions about the preconceived expectations that we bring to literary texts: To what extent do we as readers form judgments about a literary text on the basis of its visual appearance on the page? How do these readerly expectations limit what is possible for the writer, and within the text itself, regardless of whether it is a practical instruction manual or a work of literary art? Most importantly, what can writers do to foster more open-minded reading practices, opening up new possibilities for the literary arts and everyday life as well? As Seita teases out possible answers to these ambitious and necessary questions, her work proves to be as erudite as it is entertaining, surprising the reader at every turn. Seita's commentary on her own work proves especially witty as the book unfolds. Frequently interrupting her own poems with comments from a reader of literary works, Seita demonstrates an astute awareness of how contemporary internet culture (with its emphasis on instant gratification, short, pragmatic texts, and equally short attention spans) has altered the expectations that we bring to literary texts, foreclosing possibilities rather than promoting them. She writes, midway through her poem, "Pick a Line," "The one thing that interested me about the poem was that it was short." Here Seita aptly summarizes the contemporary reader's ideal literary text. In many ways, her work may be read as an effort to expand what is possible within this very limiting framework. wouldn't sight the single but the total unity. What's interesting about this passage is the way that Seita writes as though she is conforming to the reader's will, yet at the same time challenges and undermines the expectations that most readers would bring to such a text. Passages like this one, beautifully and artfully fragmented, call upon the reader to forge connections between different elements of the poem, prompting them to participate actively in the process of creating meaning from the work. Fantasias in Counting is filled with thought-provoking works like this one, which show an astute awareness of readerly expectations and the consequences of the work's necessary challenges to the entrenched relationship between the artist and her audience. Additionally, Seita's creation of a multilingual space within the book is fascinating. Frequently drifting between languages, namely English and German, the poet calls into question the reader's expectation that he or she will always encounter a monolingual text. As the book unfolds, the reader is at turns confidante and linguistic other. Seita creates a relationship between the audience and the work that is inherently unstable, subject to ongoing change, revision, and shifts in power and authority. Seita's drifting between languages serves as a source of both metacommentary and high literary humor. With that in mind, Seita's poetry collection proves to be as engaging as it is self-aware. She writes in "Diktator-Playmobil,"
Every woman with an erection plays a despot. Diktiergerat. Alles fake da niemand mehr Schreibmaschine. Here Seita switches between English and German, rendering the text suddenly inaccessible to the reader. In many ways, this choice calls into question the assumption that readers often bring to poetry: that it should be not only accessible, but also transparent and easily understood. I'm intrigued by Seita's efforts to parody these preconceived readerly expectations, while at the same time rendering us more aware of ourselves as readers. Indeed, Seita holds a mirror to her audience, showing them all the ways in which they have shaped the literary texts that are available to us. Reminiscent of Sarah Vap's discussion of "difficult" poetry in The End of the Sentimental Journey, and Lisa Robertson's eschewing of semantic meaning in R's Boat, Fantasias in Counting is a delightful addition to this ongoing conversation among feminist writers. Seita is a poet to watch. Kristina Marie Darling is the author of eighteen books, which include Melancholia (An Essay), Petrarchan, and Scorched Altar: Selected Poems and Stories 2007-2014 (forthcoming).